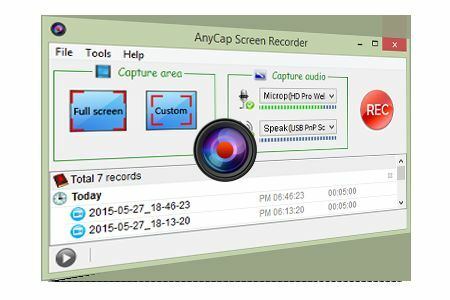 AnyCap Screen Recorder can record video and audio information on your computer. You can use it to record from Facebook, Skype, Google Hangouts and more. It can record to up to 4K resolution.